What number is next in the sequence: 2, 4, 8, ? The next number is 11 because the next number each time has one more letter than the previous number. 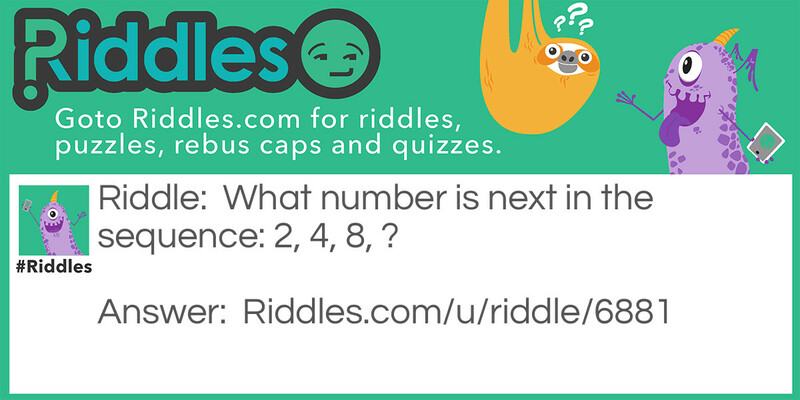 Strange Sequence Riddle Meme with riddle and answer page link.